During the first day of the Immersion participants will learn how to build a small Taylor-Couette apparatus and how the design and construction of the apparatus can be implemented as a series of instructional modules on digital electronics, computer-aided design (CAD), conventional and modern fabrication methods (soldering, machining, laser cutting, 3D printing, etc. as appropriate to participant’s home institutions). During the second part of the Immersion (2 days), participants will learn how the Taylor-Couette system can be used to demonstrate a host of important topics in fluid mechanics and nonlinear dynamics as stand-alone classroom demonstrations, laboratory exercises, or extended student projects. Some of the topics that will be explored include flow visualization, Reynolds similarity, flow instabilities, the time reversibility of low Reynolds number flows, the coexistence of attractors in nonlinear systems, the Ruelle-Takens route to chaos, and attractor reconstruction from time series. For the 2019 ALPhA/PICUP Immersion at the University of Wisconsin-River Falls, special attention will be paid to computational analysis of digital images, including spectral and time series analysis. We will also cover numerical modeling of the advection of passive tracers in circular Couette flow using GlowScript and numerical modeling of the primary instability using Daedalus, a Python-based package for computational fluid dynamics. Participants should bring their lab notebook and a flash drive. The apparatus can be constructed as student projects for ~$200 per unit. Most of the parts can be re-used, so the design and construction of the apparatus can be implemented as a project-based activity in subsequent semesters at significantly lower cost. While the Taylor-Couette system can be used to perform most of the experiments as a standalone unit, additional equipment ranging in cost from $200 to $2000 is necessary to conduct some of the experiments. Daniel Borrero received his BS in Physics from the University of Texas at Austin and his PhD in Physics from Georgia Tech. 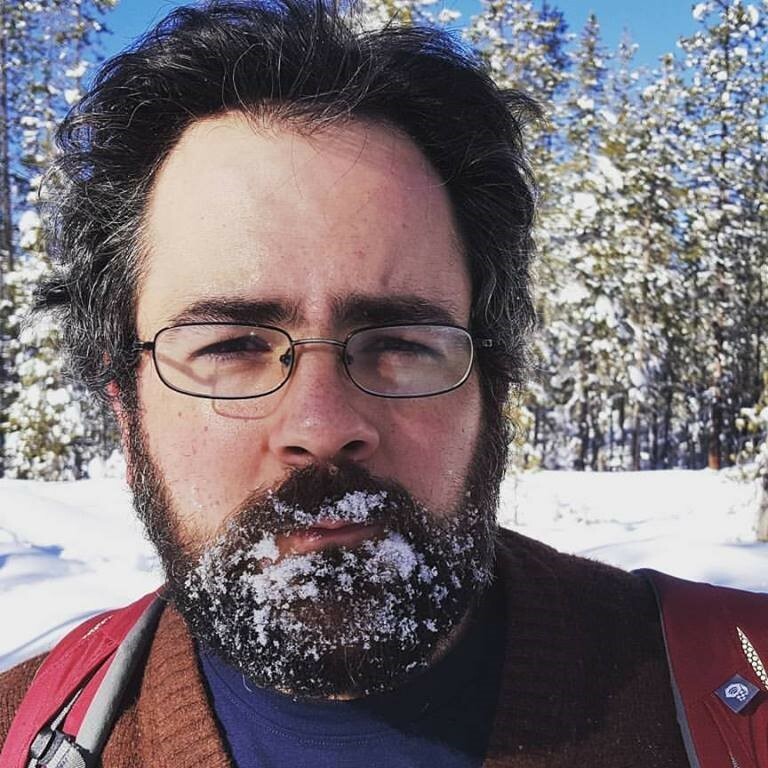 After receiving his PhD, Daniel taught at Reed College, where he worked to restructure the instrumentation laboratory course using a project-based curriculum. In 2016, Daniel joined the Department of Physics at Willamette University. At Willamette, he has continued to research fluid systems with complex spatiotemporal dynamics. Daniel’s research focuses on studying the subcritical transition to turbulence in wall-bounded shear flows. He has taught courses across the physics curriculum and has recently been involved with departmental efforts to introduce scientific computation to the introductory physics sequence and developing computational physics activities for his Thermal Physics course. He has also co-taught the department’s advanced laboratory course for the past two years. In 2010, Daniel was part of the Hands-on Research in Complex System School at the University of Buea in Cameroon, where he taught sessions on studying flow instabilities and transitional flows using low-cost table-top experiments and computational modeling using Python to graduate students and faculty from over 50 African countries. Daniel Borrero, Willamette University, Department of Physics, 900 State St., Salem, OR 97301. Email: dborrero@willamette.edu. Phone: 503-370-6537.